Over the last several weeks, pavement work has been done on West 56th street from Saddlebrook Golf Course Development (where the Mayor lives) to the intersection of 56th Street and Kessler Blvd/Cooper Road. They appeared to be resurfacing the road and widening it. 56th Street was widened to four lanes from Guion Road to Eagle Creek Park a few years ago. It's a beautiful stretch of roadway. I was very much looking forward to when that stretch of 56th Street close to my home, which has become increasingly congested, would be widened to four lanes, or at least some turn lanes added which would help congestion. Well it's not going to happen. I drove through the area tonight. On the aforementioned stretch of road which goes for .9 miles, there were 28 signs announcing, you guessed it, bike lanes! The widening of the road was not to add traffic lanes to relieve traffic congestion but rather to add bike lanes. Riding a bike on 56th Street in that area has always been hazardous. The road is narrow, the pavement next to the edge of the road is often broken and the traffic is constant. While I can ride my bike easily from my house to downtown, riding east and west along 56th Street has always been very hazardous. I would always avoid that area as did most bicyclists. 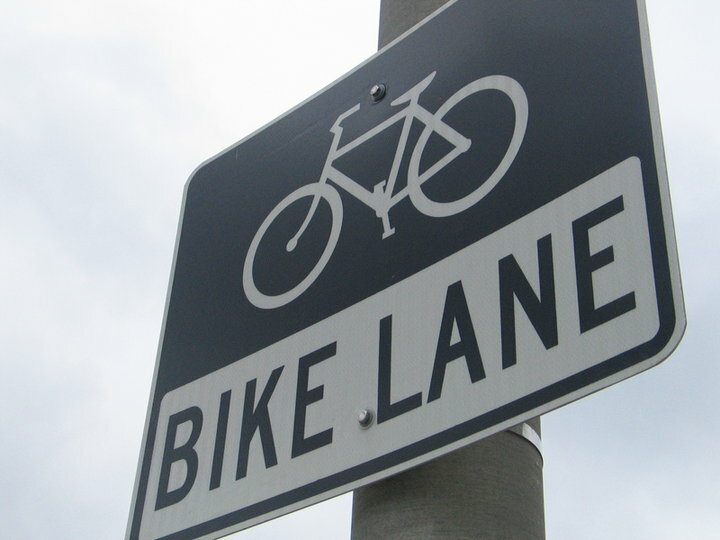 Will the bike lanes make bicycling in that area more safe? It is hard to tell as the lanes are not yet marked. I am afraid though we are looking at making that portion of 56th Street another Broad Ripple Avenue, a situation where traffic/turn lanes are narrowed or eliminated to add bike lanes. 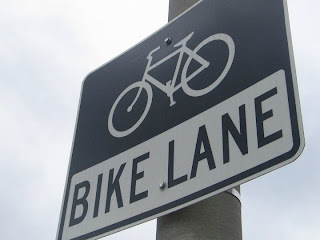 That change has resulted in terrible congestion along the Broad Ripple Avenue, while very few bicyclists use the bike lanes.